What are the chances that you build a mobile commerce store app, with a shopping cart and mCommerce components, only to realize that all of your monetary woes have been solved? I would argue slim to no chance. Why? Because building a mobile store is not going to bring in customers just because it exists. 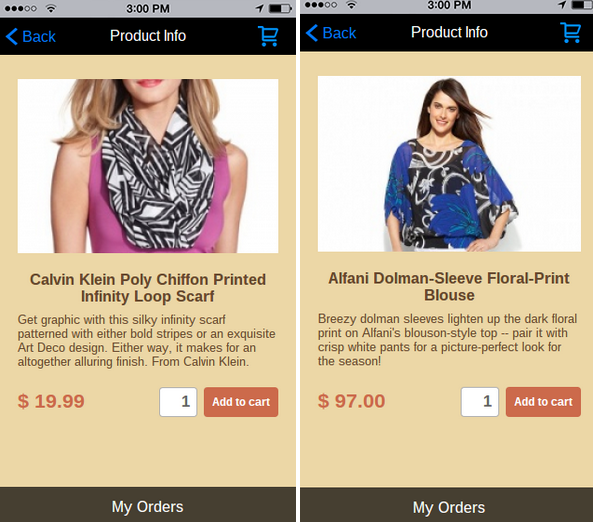 Effective mobile commerce stores take testing, modifications and more testing. The fact that mobile devices will account for 30% of global retail eCommerce is not enough to think that your store is simply going to stumble upon customers. You need a plan. A plan that puts together the most effective habits for bringing your mobile Commerce store to life and sending dollars into your pocket. Keep reading to learn more about eight wonderful habits of highly effective mobile commerce stores. Shoppers, particularly the female ones, are often interested in sharing what they think about the products they have bought. It's also quite common for them to complete research based on information that other shoppers have found in the past. For this, the Fan Wall Feature works wonders so your mobile Commerce customers can chat about their favorite products. 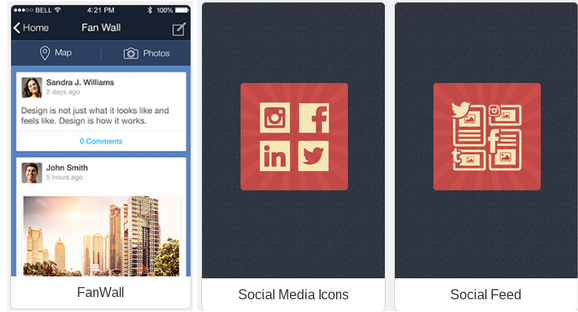 Another recommendation comes in the form of social buttons. Obviously, you want to continue your relationship with customers, and social media is a great way to do so. Prompt customers to follow you on social accounts, and even provide social feeds directly in your mobile apps so they can share their experience with you on there. One thing to keep in mind is to stray away from constantly selling people on social media. Give people what they want: Fun and promotions. An Mobile Commerce store has a few disadvantages compared to a regular eCommerce store, because the screen is much smaller, cutting down on communication tabs you can cram into the mobile app. Not to worry though, because this can actually work as a plus, considering you want to make customer service as simple as possible for your customers. 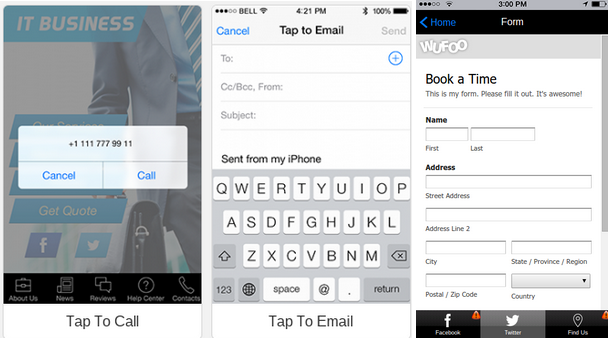 Ensure that one of the tabs at the bottom of your app sends people to a Contact page. This page should include detailed contact information, tap to call and tap to emails buttons, and a contact form for shooting your company a quick message. It also doesn't hurt to have a map in case you own a brick and mortar store. Free shipping is one of the easiest ways to convince people to buy through your Mobile Commerce store. Interestingly enough, if I ever see that an online store is trying to charge me for shipping, I immediately look elsewhere for the same product. Display this benefit loud and clear on your mobile app homepage. What happens after a user buys a pair of shoes from your mobile store? Did you grab their email address for sending them promotions in the future? If not, it's time to change that. Some of the Shopping Cart features from iBuildApp help you collect some customer information, but I would recommend backing up those systems with the POWr Mailing List feature, which you can activate directly from iBuildApp. Once you capture some of your customer information you can go back to see which of your customers are buying the most product. 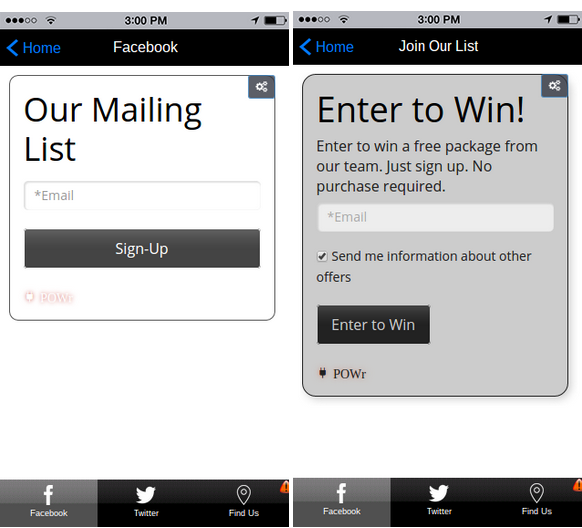 This way, you can go back and send them an email with coupons and promotions, since they are so loyal to your brand. 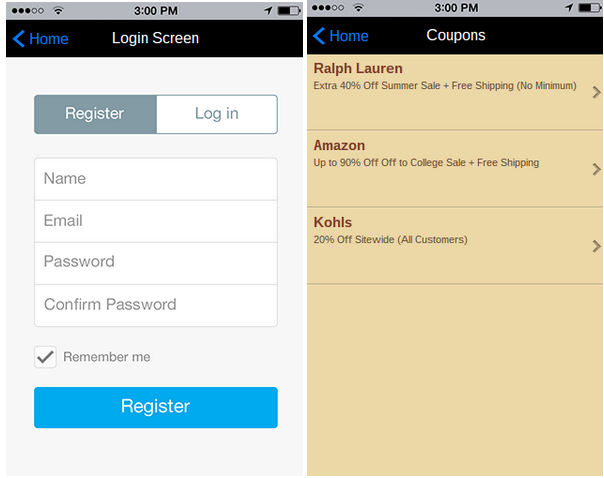 Use the Coupons feature to make this happen, and even throw a Login Screen before it to ensure that only your most special customers receive the incentives. A piece of clothing means nothing without it draped over a model who looks happy to wear it. A bouquet of flowers means nothing without a picture of it sitting outside on a patio to give your customers an idea of what they can expect when they buy it. Not all eCommerce and mCommerce stores accept all types of payments, which is a huge disadvantage, considering many folks only have one or two payment options to choose from. 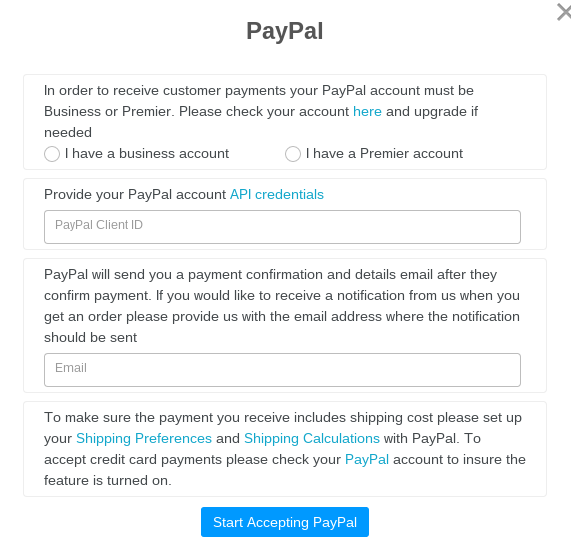 With the Catalog with Checkout Feature from iBuildApp, you can specify that you want to accept payments through PayPal, along with all credit cards. Can you imagine completing your own online shopping only to find a website that has an out of date events calendar or a product page that had been sold out for a few months, without anyone tending to the updates? If your mobile store looks like it hasn't been updated, users will think it's a completely non-credible place to buy from. Keep an eye on your calendars, photos, comments, product pages, reviews and everything that brings your store together. Drop a line in the comments section if you have any questions about the eight habits we just covered. Let us know if you think other mCommerce store owners can use any of your tips that make your store super effective.